Mr. Johnson is a member of the firm's Corporate section. He specializes in general business and commercial law, and he has extensive experience working with start-up and emerging growth companies, including advising founders and management regarding entity structure, financing, securities, taxation, intellectual property protection, and mergers and acquisitions. He also has significant experience drafting and negotiating a wide range of commercial agreements, including license agreements, distributorship agreements, purchase agreements, and joint venture agreements. Mr. Johnson is particularly interested in clean and renewable energy technology, and has represented several clients involved in these emerging areas. 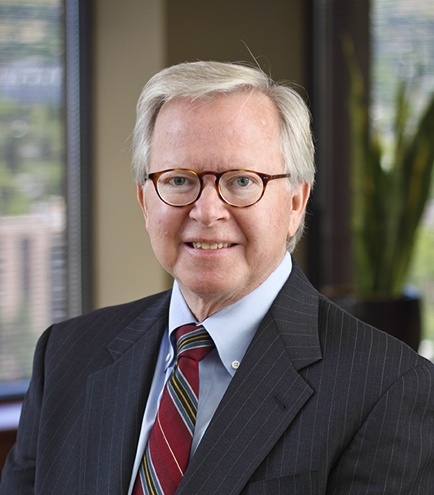 Mr. Johnson is recognized as one of Utah's Legal Elite for corporate law and transactions, as well as Best Lawyers for corporate law, and has an AV Preeminent rating by Martindale-Hubbell. Extensive experience working with start up and emerging growth companies, including advising founders and management regarding entity structure, financing, securities, taxation, intellectual property protection, and mergers and acquisitions. He also has significant experience drafting and negotiating a wide range of commercial agreements, distributorship agreements, purchase agreements, and joint venture agreements. Particularly interested in clean technology and renewable energy, and has represented several clients and entrepreneurs involved in these emerging areas. Prior to joining Kirton & McConkie, Mr. Johnson served as Vice President and General counsel of Daw Technologies, Inc., a NASDAQ listed company specializing in the international design and installation of cleanroom equipment and facilities. Early in his career, Mr. Johnson practiced securities and corporate law in San Francisco and in the Silicon Valley of California. Many years' securities practice includes assisting clients in the private placement of securities, venture capital financing, and public company reporting and compliance work. Having served as inside general counsel for two public companies, he is experienced in corporate governance from a legal as well as practical standpoint. Hands-on experience as an entrepreneur, having started and operated a number of small businesses. Presenter, "Starting a Small Business"
Speaker, "Optimizing the Business Entity"